Four months have passed since our first article about Moon — a Selenium-compatible browser automation solution created to work in Kubernetes or Openshift cluster. In this article I mostly described our motivation to build such solution and how to quickly try it. Today I would like to dive into the implementation details and explain how Moon works under the hood and why it is so efficient. Moon — the main application providing Selenium API and by default listening on standard Selenium port 4444. Your tests should be launched against this port. 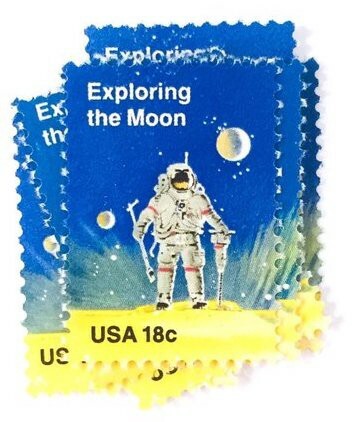 Moon API — a supplementary component providing /status HTTP API and by default available on port 8080. Moon API returns additional cluster status information such as total cluster capacity, list of running browser sessions and so on. Moon UI — an optional graphical user interface visualizing cluster state retrieved from Moon API /status API. Currently we are using Selenoid UI as Moon user interface but more advanced solution is going to be delivered soon. LoadBalancer — a generic L4 network load-balancer distributing IP-traffic across configured nodes. Ingress — an L7 HTTP load-balancer with an ability to proxy requests to concrete HTTP URLs to specified services. For example you can give access to Selenium API in Moon service at /, whereas /status will lead to Moon API. 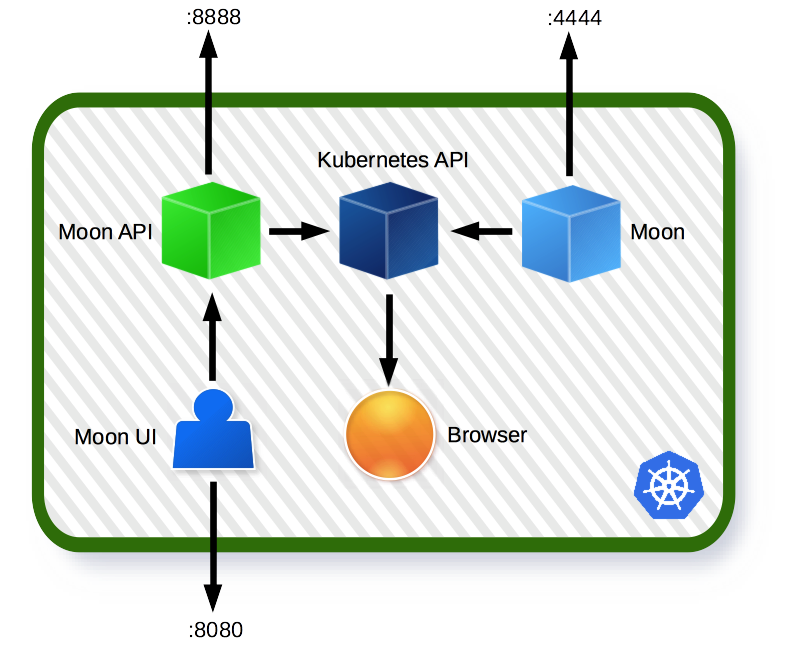 Internally Moon is using Kubernetes API to launch pods (and corresponding services) with browsers and then retrieve the entire cluster state. 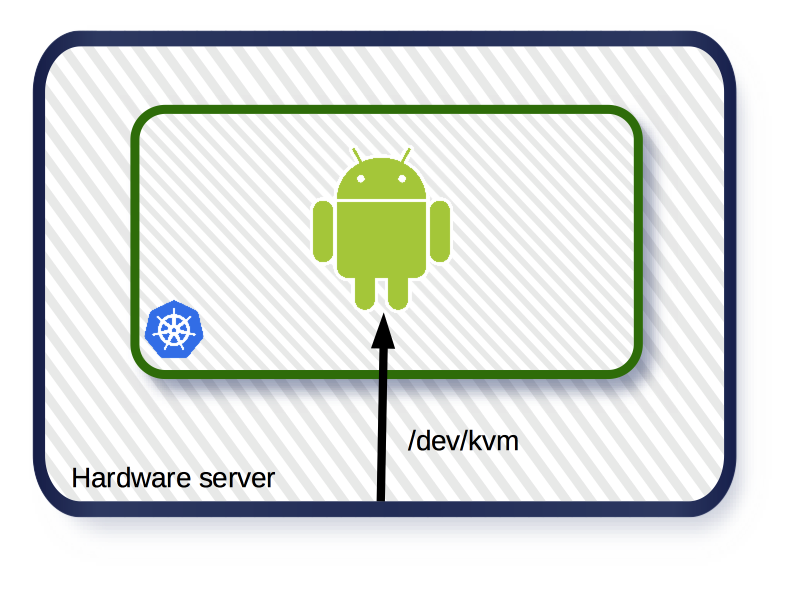 If you have already worked with Kubernetes — you should know that every service has a name which is also a network host name available in Kubernetes DNS. For browser pods Moon uses generated unique names containing information about launched browser, e.g. firefox-61-0-f2bcd32b-d932-4cdc-a639-687ab8e4f840 which corresponds to Firefox 61.0. When Moon user requests a new browser session it receives created service name as a Selenium session ID instead of random UUID. This session ID is then sent in subsequent Selenium session requests and Moon is able to proxy the traffic to correct Kubernetes service with browser. Such simple idea makes Moon completely stateless and allows to start an unlimited number of replicas behind chosen load balancer. browser — an image with browser that actually executes Selenium tests. Is is exposing standard Selenium port 4444 and its X-server port 6099 for video recording purposes. defender — an utility proxying container guaranteeing that only one Selenium session is created in the pod. This container actively prevents (or defends) browser container from accepting the second new session request and also handles session timeout cases when pod is automatically deleted. Because of defender Moon does not need to store timeout state for every running session and thus remains completely stateless. 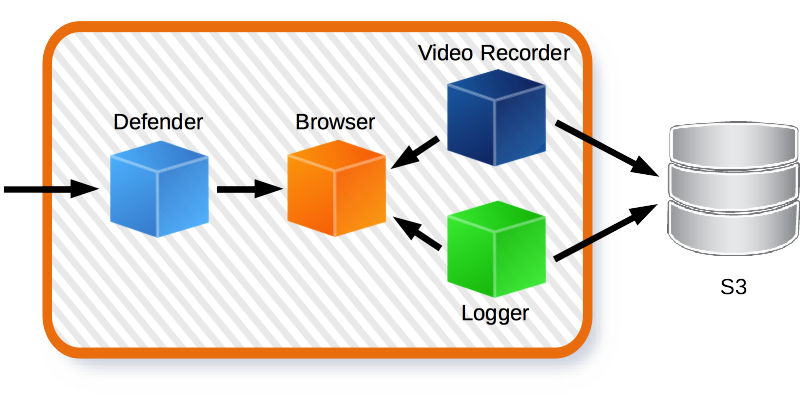 video-recorder — a supplementary container with FFMpeg video processing software. It is used to capture the video from X-server when browser is actually running. When S3 uploading is enabled — this container additionally uploads recorded video file to S3. logger — a supplementary container used to upload browser session logs to S3 when it finishes. So depending on Moon configuration and capabilities set in test code browser pod contains from two (browser and defender) to four containers. These configuration files are then mounted to Moon pod as config maps and Moon is able to read and apply them. The last question I would like to discuss in this article is how to run tests on “difficult” platforms such as Android. If you take a look at my Android-related article — you will understand that the most efficient and the least expensive way to run tests on Android platform is using Android emulators. Fast Android emulators compared to desktop browsers have an important particularity. Using virtualization technologies they require a certain number of processor instructions to be supported on the host where they are started. Such virtualization support usually exists either or hardware servers or virtual machines with nested virtualization support. And such machines are usually slightly more expensive than standard ones. Now Android emulators will be running on such expensive hardware and the rest of browsers will be cheaper for you.